Has your skin begun to age with fine lines appearing near the eyes? Is your sagging skin making you look haggard and old? Here are some simple home-made solutions suggested by dermatologist Navin Taneja, director of National Skin Centre that will act a saviour. 1. Strawberries: Strawberries work like astrigents on the skin and they are 100 percent natural. Make a face mask of freshly-crushed strawberries and apply on the skin. 2. Cucumber and Avocado: A combination of cucumber and avocado is very good to prevent skin from sagging. Alternatively, grate a cucumber and apply it on your entire face to get rid of loose and sagging skin. 3. Yogurt and Egg White: Whisk two eggs until you get a foamy mixture and apply it to your neck and face surface. Add a table spoon of yogurt and should be whipped properly. Apply it for 20-30 minutes. 4. The Earthiness of Cinnamon: Prepare a scrub using cinnamon powder, turmeric powder, sugar and olive oil to moisturise your skin. 5. 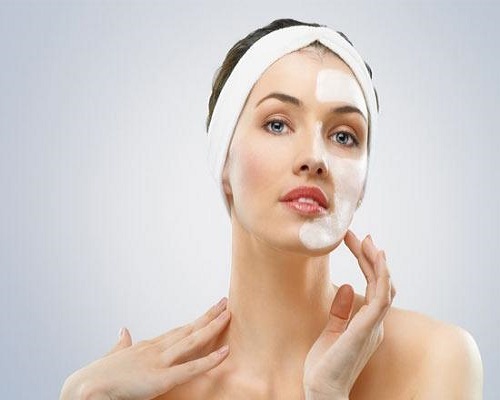 Rice Powder: Rice powder has anti-ageing properties. Mix two tablespoons of rice floor, two tablespoons of rose water or green tea and apply to the skin; then rinse with cool water. 6. Papaya: Papaya contains rich anti-oxidants which, besides enhancing dead skin, also remove dead cells from the skin. Mash papaya with rice flour and honey spread and apply on the face. Rinse with lukewarm water after 20 minutes.